Sydney + Blake tied the knot in a beautiful Barn Wedding at the Granary at Winmock at Kinderton in Bermuda Run, North Carolina this past Saturday. The amazing couple looked gorgeous on their big day and it was such a sweet an intimate Wedding, I was so grateful that I could be their Wedding Photographer so close to Winston-Salem, North Carolina. But how did we get here? 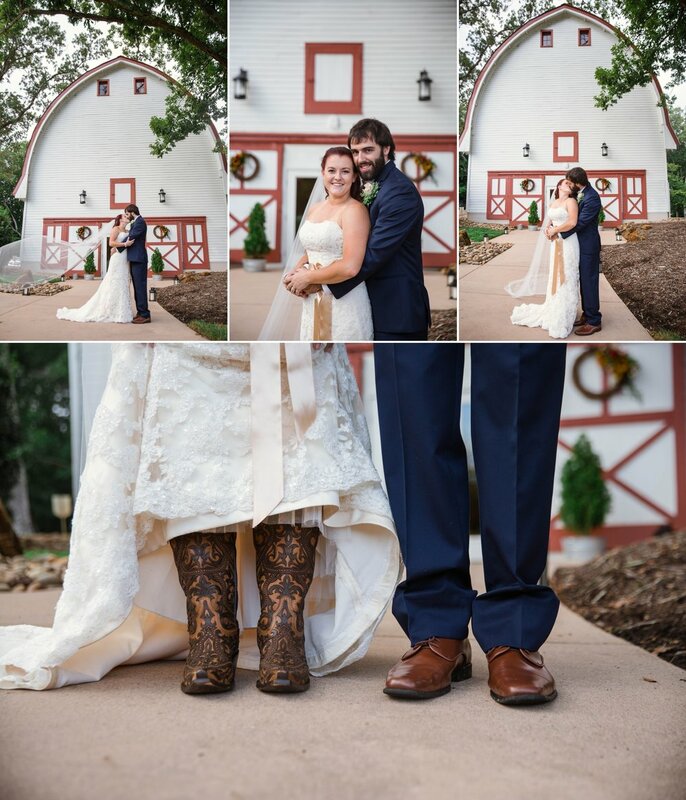 "We met at his cousins barn Halloween party she introduced us that night while he was dressed as woody from toy story! We all ended up hanging out the rest of the weekend riding horses and after that we just kinda went from there." Sydney tells me. Blake proposed to her in a super sweet way as well! "We were at the marine mud run and when we finished everyone was there and proposed while we were gross and covered in mud" That's love! Sydney loves his sense of humor, and Blake loves simply hanging out with his now wife, wheter its playing video games or playing paint ball on the weekends. As long as the two are together, everything is fun!